Links to sites for many of the most popular tropical fish in aquaria today. Fish species, grouped into larger orders or families, each with nice photos. Not as complete a site as some others below. Who on Earth could ever think that a whole website devoted to snails could be anything but boring? You will be thinking differently after you see this beautifully designed and fascinating site, complete in every way. Excellent site to start off a search for info on any fish, cross-referenced by common name, species name, or species type. Descriptions include map of origin and good info. Different species profiles, each written by experienced individuals; highlighted every month with detailed information--shoot to bottom for list of previously profiled fish. Catfish and loaches can be fun aquarium pets. Cichlids include angelfish and much more. Read about the famous Cichlids of Lake Malawi! Dragon Fish are valuable fish with a fascinating history and culture surrounding them. Finally, a site devoted only to profiling fish species. It does a great job of it also, with nearly 200 fish on the list, and has a handy search function which makes it a great place to start looking for the identity of that unknown species you saw in the store the other day but don´t know enough about to buy. There are hundreds of freshwater fish that are perfect for aquariums. This site, though it seems to appeal most to children and to be a fun site, actually has quite a bit of very good information on frog care in the aquarium, and covers a large number of species. Guppies are wonderful little fishes who are a delight as part of your family! Got loaches? Then you absolutely must visit this site! Includes clown loach videos and lots of profiles. 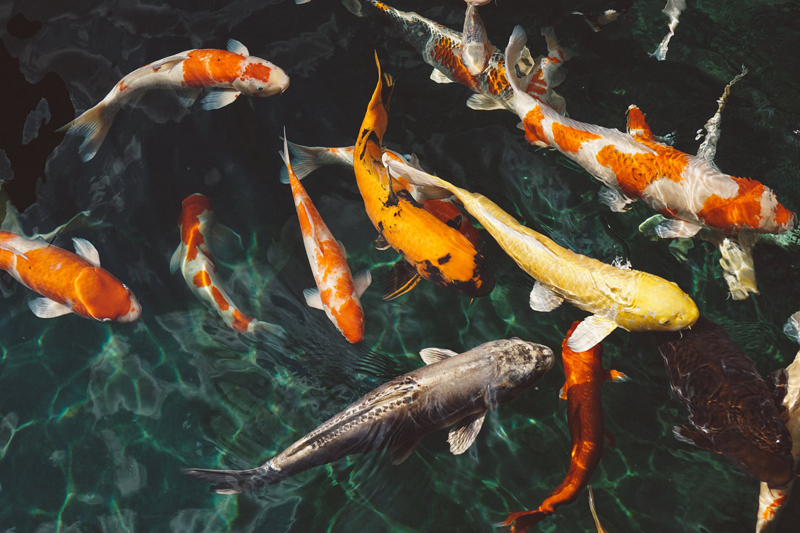 THE definitive index of just about every freshwater fish you could think of, listed by Latin name... but none are ordered by common name and many do not have photos or species information. As always, I have been completely impressed by the many things offered by this site. In this case, a huge array of noncatfish species are listed, both by common and scientific name indexes, both of which can be found with the unique search function. The catfish missing from this list can be located at http://www.planetcatfish.com. Snails, frogs, piranha and other exotic fish can be found here. Professional and definitive site for piranha fans worldwide. Bold... absolutely the definitive page for all things catfishy. Highly recommended for catfish fans everywhere. Interesting page with info on both mudskippers and gobies, plenty of links to go around. A beautiful page on keeping these delicate and incredible pets. Seahorses have special needs, but can be kept successfully in a marine tank if you read the articles and follow the good advice on the forums found here. Truly *fantastic* interactive (!) species descriptions of many, many fish with input from webmaster Marcos Avila and anyone who wants to fill out a feedback form. Not for the amateur hobbyist, but this great search engine will shoot out scientific literature citations for species or genera of many fish studied in ichthyology. A great resource for advanced hobbyist interested in learning more. Interested in getting one of the most unusual and intelligent pets you could ever keep in an aquarium? This page has everything on octopus, squid and cuttlefish care, including info on how to keep them as pets in a marine tank. It´s not easy and not for beginners, but if you are considering a real interesting challenge you will never forget, consider an octopus in a SW species tank. The Desert Pupfish is an endangered species who, surprisingly enough survives in the harsh desert environment! Here's an example of an excellent brackish water fish for your aquarium! Tiger barbs are a great fish to own! Complete and beautifully designed site for "dragonfish" lovers worldwide. This content was written by . If you wish to use this content in any manner, you need written permission. Contact Mary Brennecke for details.